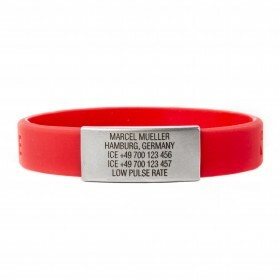 such as name, blood type, information about the disease which affects the ICEstripe holder, and most importantly - a contact number for a loved one, who should be notified in case of emergency. Elite is a versatile product and it is great for any type of occasion. Solid, made of silicone strap and stainless steel buckle, makes Elite bracelet look very stylish and perform great in normal, everyday use. 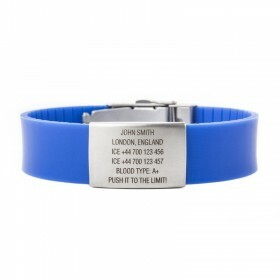 ICEstripe Slim is a version likened to the world's most popular silicone wristbands. Its big advantage is subtle look and light weight, making it suitable for any type of physical activity and to wear every day. Sport version is designed primarily for people who love to be active. Running, cycling, hiking, or simply nordic walking? 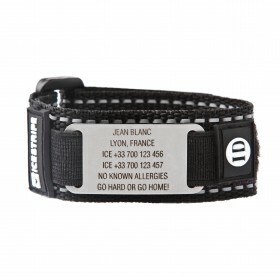 Doesn't matter if you are amateur or pro, wear Sport bracelet and show you are active!